For many Manitobans there is a struggle to know how best to treat family members in the early stages of dementia. "You never know when that first time might be." CBC's Information Radio asked Norma Kirkby, the program director of the Alzheimer Society of Manitoba, what families need to know to properly care for a person who may wander from their home and potentially injure themselves. The number one thing to look for is disorientation to time and place, Kirkby said. There should be increased awareness if a person is not recognizing their own home or if they speak about their home as if it is a place from the past. The disorientation may also present itself if a person seems to do very well – but one day fails to recognize where they are or how to get home. Kirkby said that families and friends should also be looking out for people that have dementia in the weeks after they change their surroundings. It could be moving from a house to assisted living, or from one facility to another. Kirkby said the risk in the first 90 days of a move is very high. Kirkby said that families should be aware of the type of facility their family member with dementia is living in. She said assisted living is not secure and allows tenants to come and go as they please, which is different from supportive housing in Manitoba, where there is security at the building's exits. Nursing homes provide more advanced care and are typically secured facilities. Assessing where someone with dementia is living is especially important if the individual lives alone and may not have anyone around to recognize disorientation or when they are leaving the building without proper clothing. 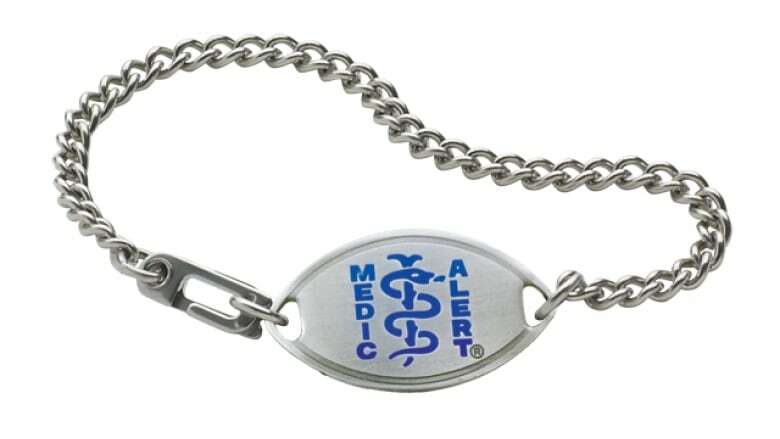 Kirkby advocates for the MedicAlert Safely Home program, where people wear bracelets with blue markings to indicate some type of memory loss or dementia. The bracelet indicates pertinent information about the person wearing the bracelet, as well as a hotline phone number to call if the person is lost. "We really encourage families of a person that has dementia to register the individual early because you never know when that first time might be," Kirkby said. Some families rely on cell phone GPS to keep family members safe but Kirkby said that there is always the risk that the phone won't be on the individual if they get lost, or it could lose its charge. Kirkby said that as the Safely Home program becomes more well recognized, the more reliable it will become. "We say to people put coats in the closet and keep it out of sight," Kirkby said. Items that are typically reminders of going outdoors like coats and shoes trigger the instinct to leave the building, she said, so it is best to keep them out of sight if a person is prone to wandering. Kirkby said that people with dementia are often still able bodied and need exercise so family and friends should plan to take them out for a walk so they get fresh air and exercise but aren't at risk of getting lost.